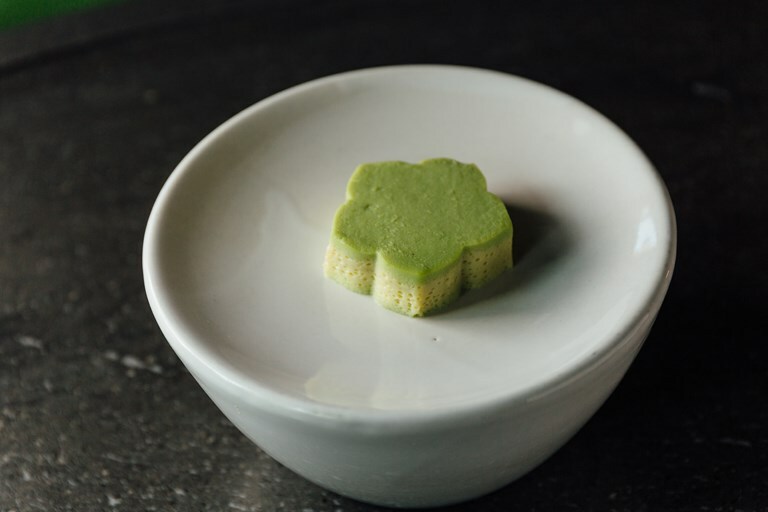 Uguisu tofu, also known as emerald tofu, takes its name from the bright green plumage of the Japanese nightingale. The colour comes from a pea paste of broad beans or edamame, which separates as the tofu cooks resulting in the striking layers of colour. Unlike many other varieties Hideki Hiwatashi's homemade tofu recipe is made from egg, making it vegetarian but not vegan. Any leftover dashi can be frozen, or stored in the fridge for up to a week.